From the beginning of time humans have an undeniable bond with pens. Though the ancient writing instrument appeared quite different than modern pens, they did serve the purpose and encrypted the history of ancient civilizations. Today, pens are considered as an important part of our everyday life. From a school kid to a business owner, everyone needs an ideal pen to efficiently handle their daily responsibilities. But, finding a perfect writing companion is a mammoth task. You might prefer pens that are found in local stationary shops, but most of these pens will leave you hanging in the middle of your journey. So, to ease your burden we have selected an array of writing instrument preferred by most pen enthusiasts for everyday writing. When it comes to ballpoint pens Fisher Pens have always maintained their position on top of the chart. Fisher Pens were specially designed deliver smooth writing experience in space. But, today Fisher pens are considered as close companions by most of the busy professionals who have to keep up with the speed of time. Fisher Bullet Ballpoint Pens are loaded with high quality pressurized ink that never lets you down. The tip of the pen glides perfectly underwater, on greasy surfaces and in extreme weather conditions. Fisher Space Bullet pens are available in variety of colors. I have listed some of my favorites below but if you are unsatisfied with our choices there are various other colors to choose from. Elegant, stylish and full of life, the Lamy Safari is a perfect choice of writing instruments for pen enthusiasts who are looking an ideal companion for everyday life. 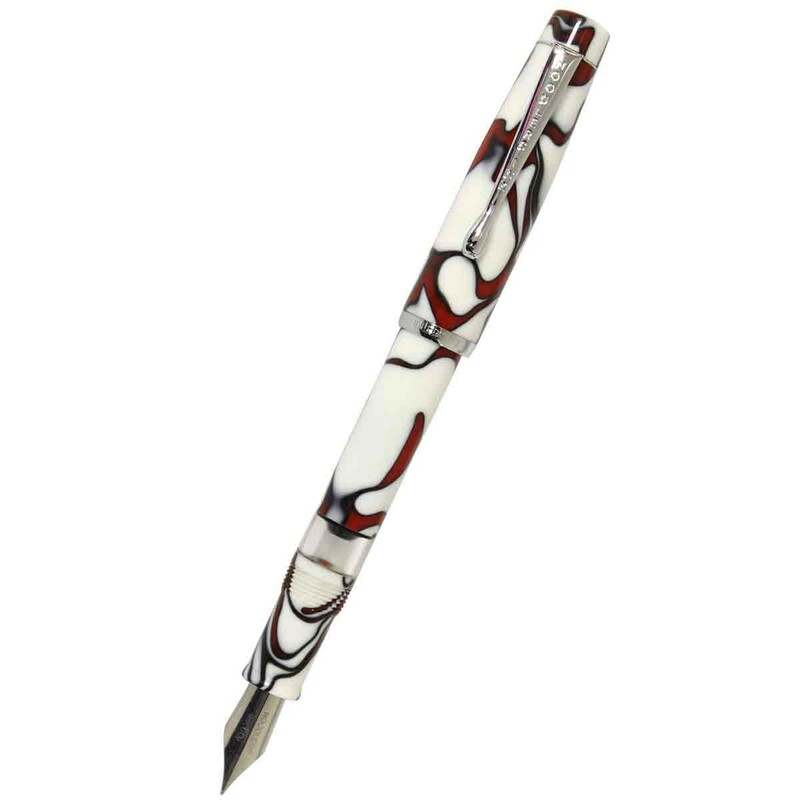 The Safari series features an elegant ABS plastic barrel with an ergonomic grip section that offers a balanced feel while jotting down your words into the paper. Lamy Safari is available in Fountain, Rollerball, Ballpoint and Mechanical Pencil, and there are varieties of colors available. Choose the one that suits you the best and embark a writing journey with this magnificent German migrant. Pilot-Namiki has and always will be a pioneer in the world of pen manufacturers. Products from pilots are always opted with the best and are designed to deliver the best user experience. Recently, Pilot has introduced a new array of pens especially designed for pen enthusiasts who are searching for a premium writing instrument with a thin price tag. The new MRcollection from Pilot exhibits a sophisticated amalgamation of style and functionality. These fine writing instruments feature a subtle design characterized by bright color patterns. Each writing instrument from these series features a slender streamline profile that is very pleasant to hold and comfortable to write with. 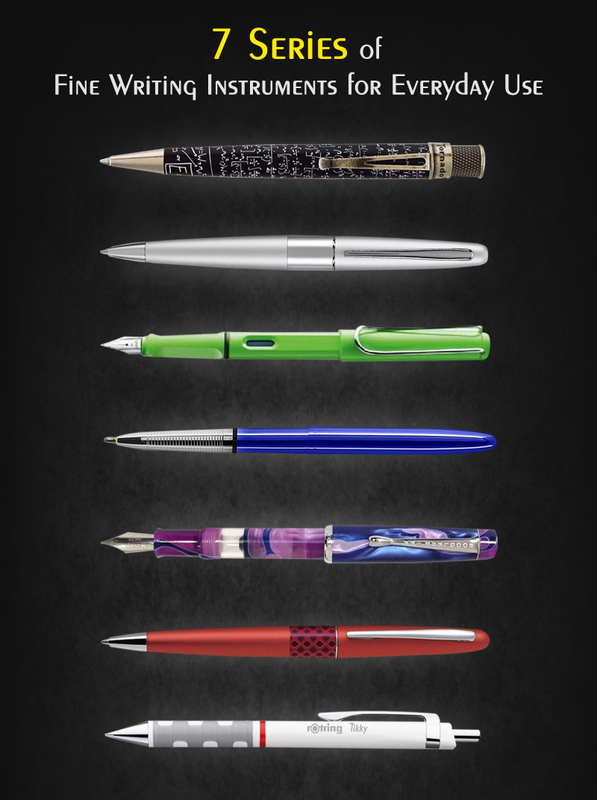 This collection is available in fountain, ballpoint and rollerball, and there is a wide array of colors to choose from. Noodler’s Konrad is a perfect writing instrument for pen aficionados who are willing to plunge into the world of fountain pens. This unique pen will be a great addition in every pen enthusiast’s treasure trove. The Noodler’s Konrad is a giant pen that offers a robust grip while imprinting your thoughts on a piece of paper. This piston filler has a large ink reservoir and can hold decent amount of ink compared to normal fountain pens. It includes a sturdy steel nib that flexes according to the pressure implied on the pen. The tip of the nib flexes simultaneously with the movement of your hand and offers beautiful line variations. Though composed of steel the nib offers a smooth and skip less writing experience and lays down even amount of ink whenever pressed against a piece of paper. I don’t think products from Faber-Castell need much introduction. For most Pen aficionado’s its one of the favorite brands. And, for people who don’t want to invest much in a pen but are willing to enjoy the fame and quality of a luxurious brand then the new Faber-Castell Basic might be the right choice. Elegantly designed, the new Faber-Castell Basic is a premium quality writing instrument with a thin price tag. 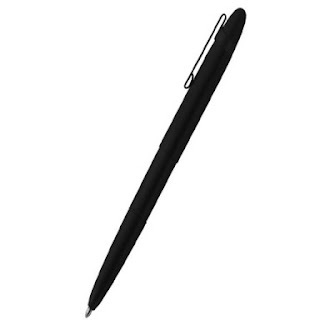 The pen features a slim profile with matte finish. Each of the Faber-Castell Basic writing instruments include a sturdy snap on clip and an ergonomic grip section that offers hours and hours of joyful writing experience without any signs hand fatigue. The pen is available in variety of choices, just click on the link below to jump into our Faber-Castell Basic page. Sleek, Stylish and affordable, the new Tikky Ballpoint Pens from Rotring includes all the qualities of an everyday pen. The smart construction of the pen is designed to deliver premium penmanship experience. Its triangular profile prevents it from rolling on smooth surface while the rubber grip section offers a perfect hold of the pen and absorbs moisture from your hand while writing. 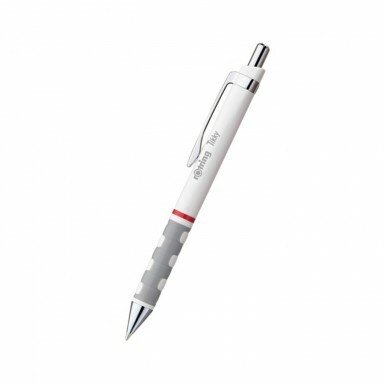 Tikky ballpoint pen is ideal for pen enthusiasts who have to jot down their words in a hurry. 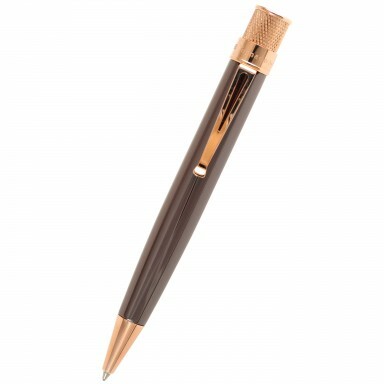 Just a slight click on the top and this beautiful writer extracts a sturdy tip that glides perfectly on paper and delivers a pleasant writing experience. 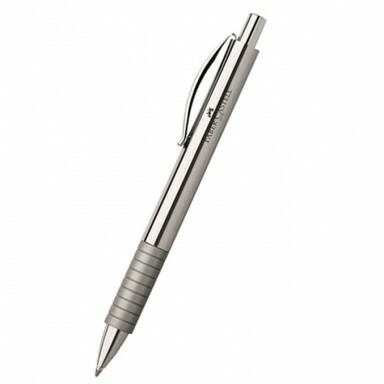 Overall, Tikky Ballpoint pens are best choice for people who are seeking for a premium writing instrument in a budget. 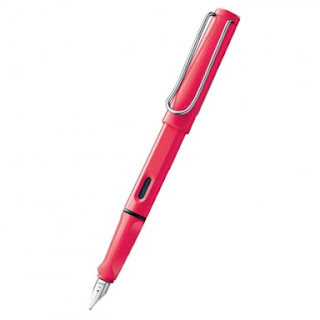 When it comes to modern writing instruments Retro 51 Tornado is one of the favorite choices. Hands down Retro 51 Tornado is the smoothest feeling, heavyweight and durable pen with a price marked less than $30. Overall it’s the best value for the price you pay. The selection of options available in colors and finishes is astonishing. Here are few of my favorite choices of the Retro 51 Tornado. If you are not happy with my choices there are various other models to choose from. Navigate to our Pen Boutique site and go into Retro 51 page and you’ll notice an abundance of Retro 51 Tornado pens that are ideal for everyday use. So, are you satisfied with our choices? 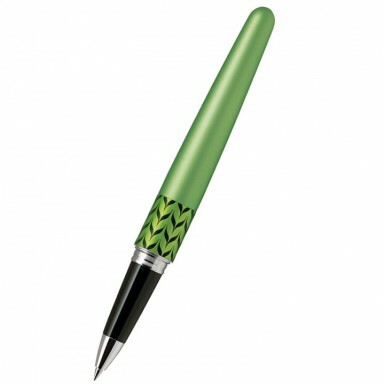 If you think these series of pens are not for you, we have an abundance of writing instrument at our site. For more information please visit www.penboutique.com.